Home > Andean Patagonia > Bariloche > Where to stay in Bariloche? Lodging is a really easy matter, with more than 200 hotels, hostels,rental houses and campsites to choose from. And prices are suitable for all the budgets, since there is a wide range of alternatives, from the basic but comfortable to the super luxury places. 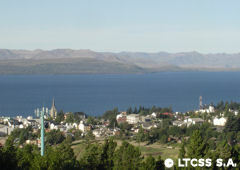 Book your Hotel at Bariloche rightaway by clicking here! Where to stay in Ushuaia? Where to stay in Mendoza? Where to stay in Puerto Iguazú?